I guess I am feeling a little nostalgic today. Either that or getting ready for our party this weekend has me excited about parties in general! Whatever the reason is, I thought it would be fun to share our gender reveal party with you. Just over two years ago... our little bun was still in the oven and we wanted a fun way to share our gender news with all of our friends and family at once. So we had a "What will it bee?" party to let everyone know! 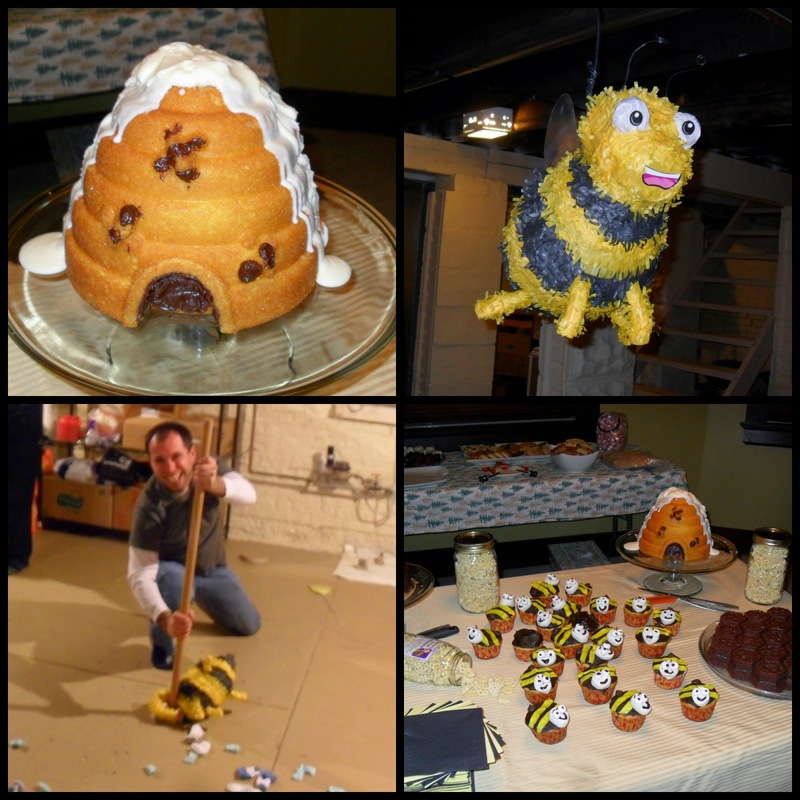 We ordered a bee pinata and hung it in the basement for the big reveal. We had matted ultrasounds pictures on our french doors. MiMi and Nana couldn't wait to find out! But then he went for the big stick and got the group riled up! After some pretty good swings, blue socks and candies flew everywhere! That was so much fun. I was left standing there with my pink gift. I was so sure he would be a girl. That was one of my favorite parties! It was so much fun to watch Matt keep swinging at the bee and it kept bouncing around without breaking. I thought he might just tear it apart with his hands. LOL! I like the fly swatter idea. But such a great way to reveal the secret of your baby! 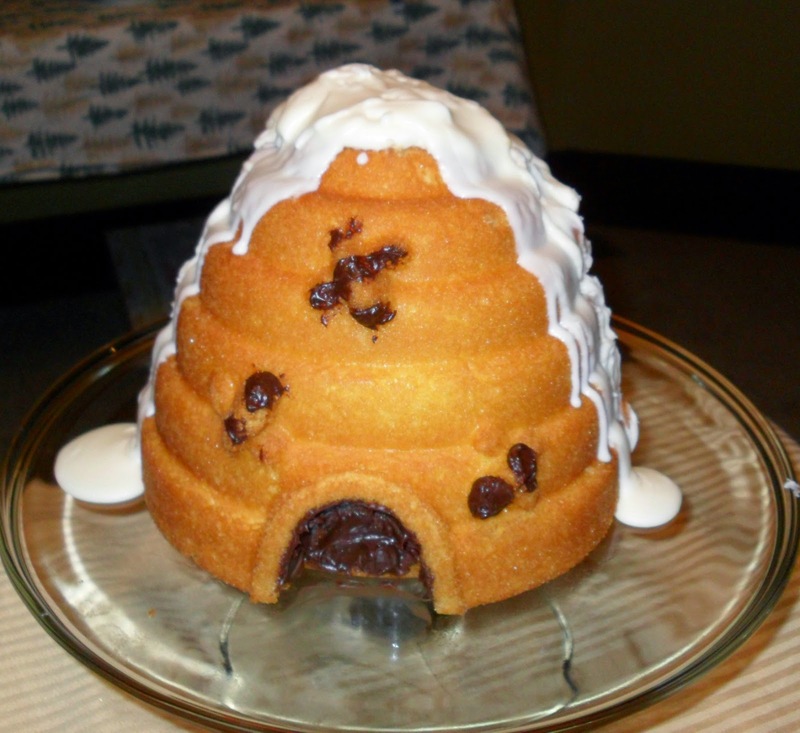 I love the bee theme and your cake and brownie creations are awesome! 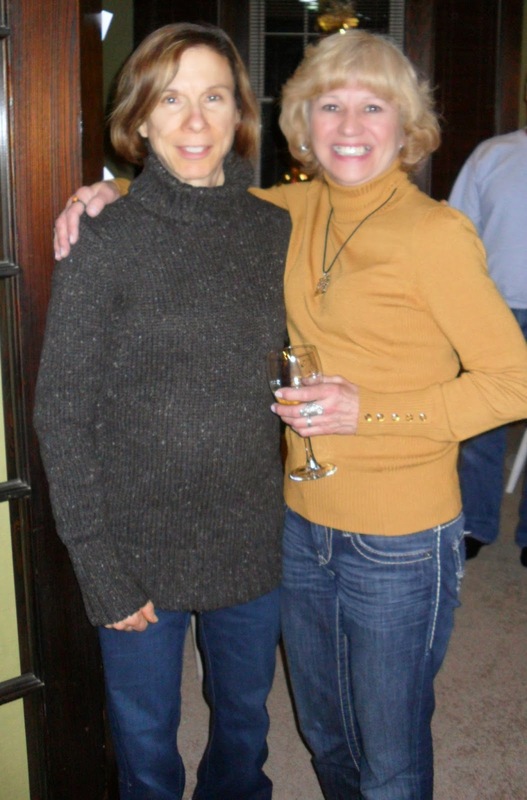 Thanks for sharing this with us at the Home Matters Linky party! We had the best time revealing our news to everyone! It was one of my favorite parties so far! Thanks for hosting! Thank you! We had the best time getting ready for it and the hardest time keeping the secret for the two days we knew before we did the big reveal!